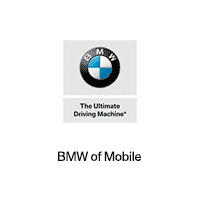 In late September, the BMW Group announced that all BMW models from mid-2018 on will include the useful Amazon Alexa voice-controlled personal assistant, thereby expanding the intelligent connectivity available to benefit owners in their daily routines. BMW owners in the United States, Germany and the United Kingdom have enjoyed BMW Connected for Alexa since September of last year, using the service to check various statuses on their vehicle and control their BMW from the comfort of home through Remote Services. Alexa makes it convenient to schedule routes and check appointments and departure times by using BMW Connected mobility agenda; now, with Alexa added directly to their BMW, owners are provided access to functions they previously could only use at home. One side benefit of BMW adding Alexa to their vehicles is that owners no longer need to rely on — or get distracted by — their smartphones since the vehicle features a built-in SIM card. In addition to offering safe and immediate instant online access, it’s also quite convenient — given that Alexa will display relevant content on the BMW Display Screen. Our showroom at 3025 Government Boulevard in Mobile is a convenient drive from the New Orleans, Saraland, Fairhope and Daphne areas.